What’s the scoop: Lena’s brother and Superman’s nemesis, Lex is dying of cancer caused by Kryptonite poisoning. 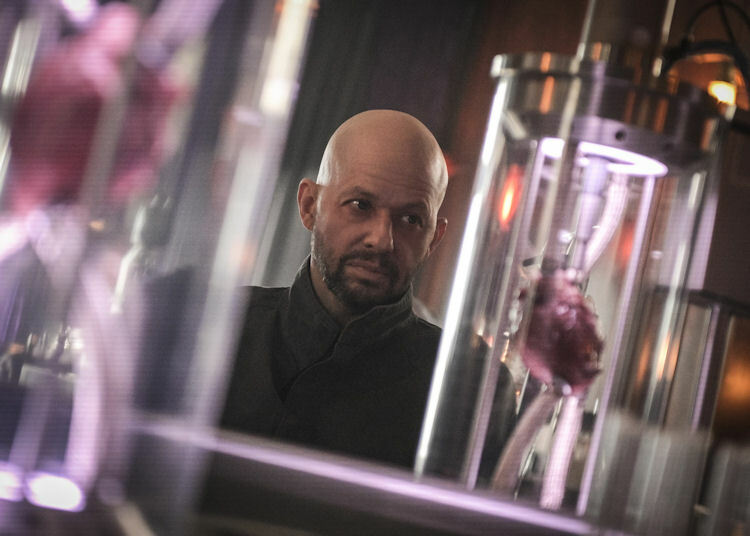 The pressure is on Lena to perfect her human amplification serum because Lex has been helping Lena on the down-low, and it will cure him. To make matters worse, Jimmy has been shot and will be paralyzed without the serum. Lena was on the fence about human testing, but her resolve is weakening because of Jimmy. Meanwhile in B-plot land: While Alex, Brainy and Nia stew with Jimmy’s sister in the hospital waiting room, Kara and J’onn go looking for Manchester Black, who escaped the last episode. Of course, Alex still doesn’t remember that Kara is Supergirl, so she’s all upset at her sister for bailing on Jimmy during his time of need. Manchester has a Martian staff and a gateway into J’onn’s mind, which naturally has J’onn tied in knots. 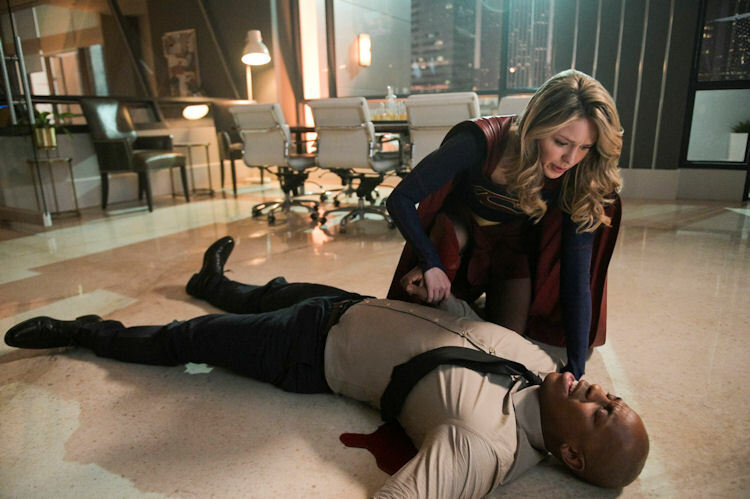 What about the action: Lex and Kimmy both spend most of the episode on death’s door. There are brotherly heart-to-hearts and some Science Siblings going down. Just as Jimmy goes under the knife for risky emergency surgery, Manchester shows up at the hydroelectric dam with the intent to flood the city. Power goes out all over, including at the hospital. At the dam, Kara fixes damage to the structure, while J’onn battles with Manchester. J’onn has been struggling with following a peaceful path all season long, and Manchester uses that against him. In the end, J’onn gives Manchester the Thanos treatment and is forever a changed man. Meanwhile, left with no other options Lena uses the serum on Jimmy, it works as expected, and he is saved. 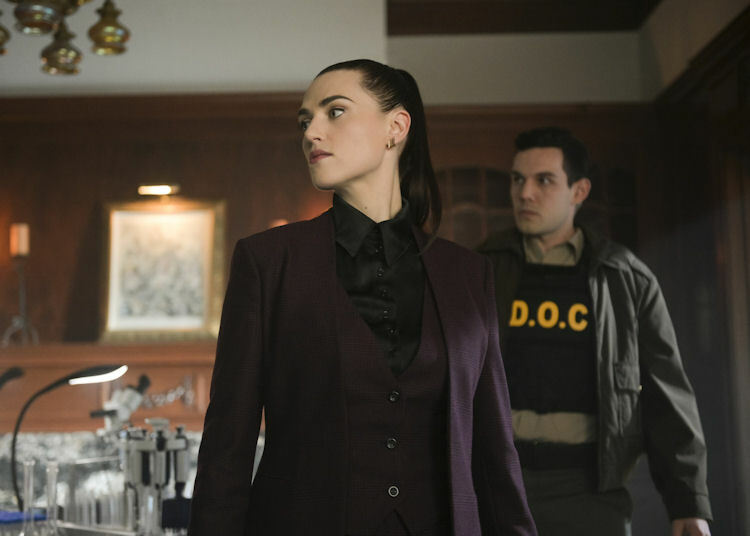 When she returns home, Lena figures Lex was behind the outage at the hospital since it was L Corp’s hospital. Caught red-handed Lex reveals everything, including the fact he took the serum a few minutes earlier, the prison guard who had been tormenting him all episode was really a goon, and Miss Tessmacher has been working for Lex the whole time. Lex makes his way to an awaiting helicopter, dispatching the guards with booby traps. Just as he is about to take off, he finds Supergirl is waiting for him. What’s next: Remember Russian Supergirl? She’s back and Lex has something to do with her, too. Last impressions: The difference between when this show is trying to convey a larger message and when it tries to be a superhero show is enough to cause whiplash. This season has been such a drag at times because it has been a series of “very special episodes” masquerading as overarching plot. 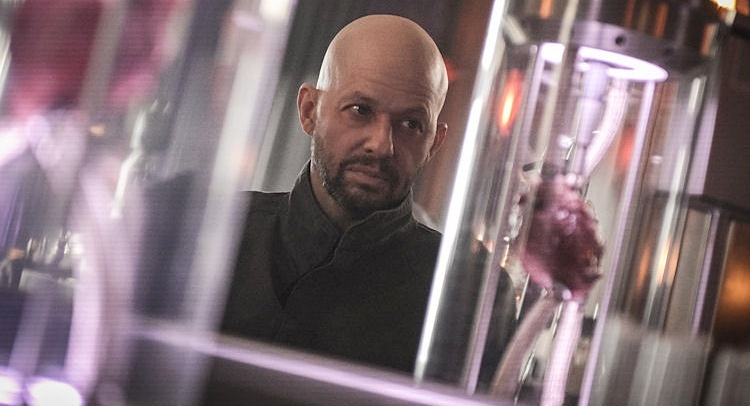 It’s kind of a shame Supergirl had to play the Lex card at all, but I’ll gladly take all the Luthor they want to give if it means more snappy episodes like this.